This is the archive page for the old, old, Stone Age archives of the Neopian Times. For the newest issue of the Neopian Times, go here! Issue 68 - Battledome Basics, Trophy Cabinet Blues and why Grarrls are simply misunderstood. Issue 67 - An almost complete guide to Nimmos Pond, tips for Bullseye, the Battledome and getting Neopoints... All this and much more in this weeks issue! Issue 66 - Packed full of hints and tips for your favourite games such as Bullseye, Swarm, Scarab21 and Neggsweeper, you would be a fool to miss reading this issue! Issue 65 - This issue is packed full of helpful articles - Alternatives to the Training School, A Guide to Quests, Top 10 games to earn Neopoints from and lots more. How can any dedicated player afford to miss it? Issue 64 - The demise of the Rock Beast, Nimmo's Pond, useful Stock Market tips, plus all the great comics, stories, adventures and articles. Issue 63 - This issue has loads of great articles including The Ultimate Battledome Guide, Conquering Pyramid, Buying and Selling and all the normal comics, short stories and mini-series. Issue 60 - Enjoy some fantastic stories and adventures, giggle at some of the great comic strips and pick up the latest tips and tricks to get rich, win at Cheat and dominate the Neopian Battledome. Can you afford to not read it? Issue 59 - Comics, articles, hints, tips and stories, this weeks issue has got it all. There is even an interview with Neopia's most fearsome Ice Wyrm, the Snowager. Miss it, and miss out! Issue 58 - Yeah, its Koi day and to celebrate the little guy has got a new look :) Its also the grand finale of the Murder Mystery game and we have an exclusive interview with the Usul behind the Usuki doll craze. Issue 57 - Be sure to check out all the great comics that were sent in this week, we think they are great :) As usual there are lots of new articles, adventures, tips, hints and the editorial section. Issue 56 - What an exciting week it has been, with the demise of the Monoceraptor and a sneak preview of a new NeoPet, this weeks issue is not to be missed. Plus, don't forget all the great short stories, adventures and articles written by players like you! Issue 55 - Great new stories, adventures and tips to make you rich from fellow players. Hubert the Hot Dog salesman has decided to try his luck on the stockmarket and your questions may well be answered in this week's editorial. Issue 54 - Exciting things are afoot in Neopia with the threat of an invasion hanging over our heads. Read all about it, and much more in this week's Neopian Times! Issue 53 - Big news in this issue of the Neopian Times! The One-Player Battldome is now open, can you help teach those pesky Pant Devils a lesson? Catch up on all the latest gossip, stock tips, hints and lots of great stories and articles. Issue 52 - This weeks issue focuses on possibly the most addictive game in the Universe - Destruct-o-match... It also has hot stock tips for the coming week and all the great articles, short stories and adventures sent in by NeoPets players. Issue 51 - Following the opening of the Concert Hall in Tyrannia, this week's issue has a bit of a musical theme. Get the scoop on the latest Neodaq crash as well as top tips, hints and stories from players like yourself. Issue 50 - Tons of great articles including a guide to Neopia's top tourist attractions, an interview with Count Von Roo and some theories where the Missing Chia has gone. Issue 49 - A new pet released, loads of new games, and lots more - this week has been pretty exciting! Read all about this weeks events, and lots more in Issue 49. Issue 47 - All of Neopia is buzzing and the air is full of sawing and banging sounds. This can only mean one thing... Yes Neohomes have been launched. Read all about Neohomes, the latest Stock Report and loads of great stories written by players like you. Don't forget to see if your questions have been answered in the Editorial, and check the articles for lots of NeoPoint saving tips! Issue 46 - This week is short story-tastic :) Check out all the great stories and articles submitted by players just like you. There are loads of tips and hints to help make your time in Neopia more profitable and enjoyable. How to use the shop wizard to your advantage, living on a budget and lots more. Plus if you have any questions about Neopia, be sure to read the editorial as the answer could be right there. Issue 45 - Maria and Neil have returned and they both have tans! We had another victim at the Ski Lodge this week, and we also have a new game called Cheat! We also have three more exciting guilds spotlighted on our front page, don't forget to check them out! And of course we have all of the great articles, short stories and mini-series sent in by other players. Also if you have a few questions, they may be answered in the editorial section. Issue 44 - Something strange has happened at the Neopian Times Head Quarters, Maria and Neil have vanished. Nobody is sure exactly what has happened to the couple and we will keep you updated as soon as we learn more. Aside from that, this week's issue has a spotlight on the sequel to Ice Caves. In Faerie Caves, Garon faces even harder challenges than ever before. Can you help him escape? There has also been another murder at the Ski Lodge, Bubbles is the latest staff member to bite the dust. Don't forget all the great articles, short stories and mini-series sent in by other players. Also if you have a few questions, they may be answered in the editorial section. Issue 43 - Say hello to the newest NeoPet, Meerca, and wave goodbye to Electric Blue Monkey. This issue has loads of interesting stories, helpful articles and a few that are just for fun. Also get the latest on the mysterious goings on at the Ski Lodge... Was it murder? Who did it? What secrets will further questioning reveal? Issue 42 - This week's issue has a spotlight on one of the shadier sides of Neopian Life, Stock Market fraud. There is an interview with one wrong-doer who found that crime really doesn't pay. Also check out Earth Faerie Aces, the editorial and all the great articles and stories sent in by users just like you! Issue 41 - This week a lot has happened, the arrival of the Eyrie, the launch of the Online Store and a huge slump in the stockmarket. All this is covered as well as a sneak preview of Neopia's newest game, and all the usual stories, articles and mini-series. Issue 40 - This week's issue has a whole ton of new stuff. 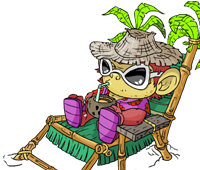 There are top tips for the NeoPets Battledome, a sneak preview of our new game Poogle Racing, the NeoMarket Report and all the usual short stories, articles and mini-series sent in by players just like you! Issue 39 - There are tonnes of short stories in this issue including MaTrice's Crush, In the Moonlight and The Morphing Potion. Also the NeoMarket Report's guest speaker is Balthazar the Bounty Hunter, see what he has to say about the sudden rise in faerie prices. Don't forget all the articles, mini series and the editorial. Issue 38 - This week's articles include tales about the Billion Neopoint giveaway, the Neopedia, adoption and overpriced items. There are also some great stories, mini-series and the editorial. If you are interested in purchasing stock this week be sure to see what Neil Kauvato has to say in the weekly stock report. Issue 37 - Kaus, Shoyrus, Korbats and Blumaroos are all featured in this week's short stories. Get great tips on the Battledome, guilds and faeries in the articles section. Catch up on the latest stock report plus some great ongoing adventures! Issue 36 - This issue has a spotlight on the new Toys that are taking Neopia by storm. This season it seems a Rainbow stuffed Aisha is the gift to buy for your young NeoPet. Catch up on the latest stock report plus all the great stories, articles and mini-series written by you! Issue 35 - Issue 35 has some great stories, articles and editorials, and also information about the Chiatech Insider Trading scandal! Issue 34 - Issue 34 is here at last. Loads more stories, articles and editorials, and also information about this week's stock crash! Issue 33 - Issue 33 has more short stories than ever before, useful articles and even an interview with Thyassa, the best Gormball player in Neopia (or at least he thinks so). Issue 32 - An early issue just in time for Thanksgiving! This issue has an interview with the mysterious Shoyrux Enterprises and a spotlight on the new storytelling contest. Issue 31 - This issue has a spotlight on Snow Wars, the latest stock reports and a whole lot of great new stories and articles written by you! Issue 30 - The latest news and reviews from the heart of Neopia! What is this hidden laboratory? Catch all your favourite series and some cool articles to help you on your way. Issue 29 - Great Articles, tips to get more Neopoints and continued stories galore! Issue 28 - NeoPet Pets, "The Halloween Carnival," a brand new series, and much more! Issue 27 - All new Halloween pages, the conclusion to "A Tale Of A Hero To All", a brand new series, and much more! Issue 26 Reports on Maraqua, the Battledome and the Stock Market as well as short stories and a new series! Issue 25 - The final episode of Celest the Magic Lupe, stock tips, articles and more! Issue 24 - Stock Tips, articles, short stories, and continued stories! Issue 23 - A new look and a better than ever editorial section that answers YOUR questions!